It just arrived today. So far, I like it! Haven't plugged it in yet though - I think I'll do that next. I have a couple of questions - it's my first M-85 (complements my Starfire I Bass nicely), but I will post those questions later. As a solid body M-85 owner I can say it is my favorite gigging bass. I did install Darkstar PUPS though, which made it the tone monster that it is today.
" I'am not great, I'am just some guy from Jersey " paraphrase from " Eddie and the Cruisers "
WoW!!!! That is a beauty! Congrats! "If you are over forty and wear a paper hat to work,you have obviously made a poor career chioce." Thanks everybody! I was just playing it - fun little bass! It's not too heavy - I don't have a scale so I don't know exactly. I need to clean her up and put some new strings on. 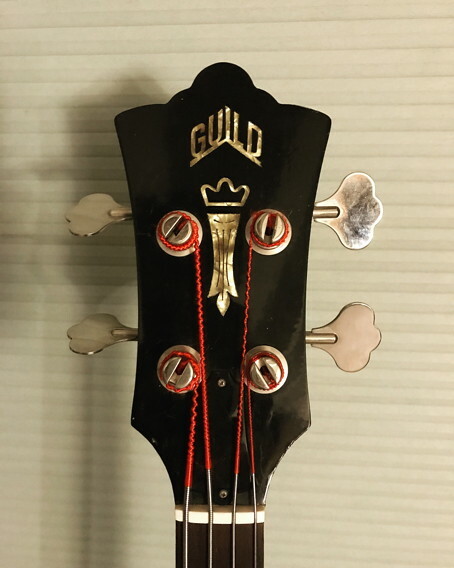 I was also wondering about the truss rod cover - I took it off because I thought it was upside down - the skinnier part was towards the body. But the tuning post bushing (?) is so big that even with it turned the other way it doesn't fit all the way down. I was also surprised to see how differently shaped they are. It's interesting noticing all the subtle differences, like the thickness of the lettering, the coloring, etc. 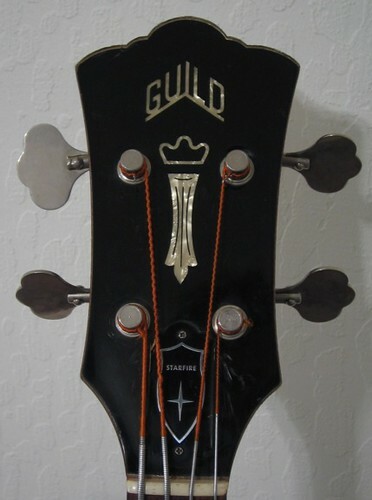 Your M-85 should also have a metal truss rod cover. That's why the tapered plastic one wouldn't fit. Even on my B-301, it's a close call on the TRC fit.